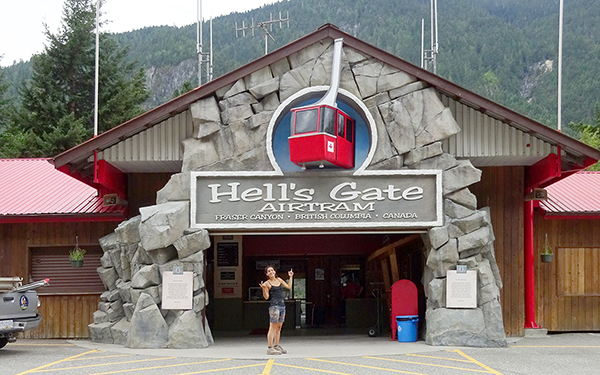 Almost ten years ago we built a new proscenium for the Hells Gate Airtram attraction. The airtram is situated in a spectacular river canyon and features a 500 foot drop from the highway to the far side of the river. The canyon narrows to just over a hundred feet wide at that point and is well over a hundred feet deep. More than twice as much water flows through this narrow canyon than over Niagara Falls. The problem was neither the airtram nor the river are visible from the highway. 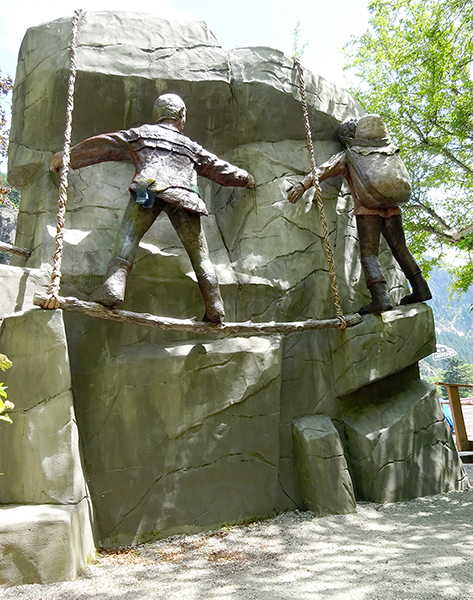 The solution was a faux rock wall with a half-size airtram protruding. The sign face (with the lettering) and the tram were the first paying projects we routed with our MultiCam Router. At the time these two pieces really stretched our abilities with the software and machine. It was one of the first times we used 30 pound Precision Board as well… quite the test! After ten years of being out in the extreme weather with very hot summers and very cold winters the bright red paint on the tram was getting a little faded. It was time for a repaint. 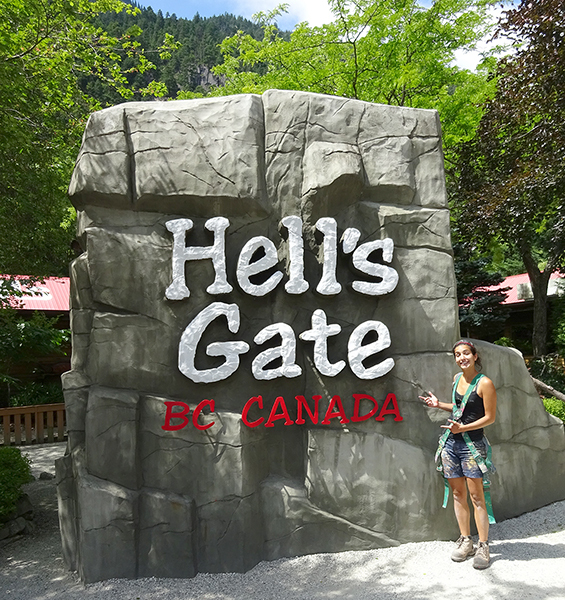 We loaded the truck up with scaffolding and supplies and Jenessa and I headed up the road for the hour and a half trip to the attraction. Once set up it was time for a close inspection. We found the tram itself had held up well. The glue joints were still tight and with the exception of paint there was no need for repair. The worst was the vertical steel beam over the tram. It was pitted with rust. We scuffed everything up and applied two – three coats of fresh paint. It took about five hours to do the task. For our lunch we rode down the tram to the restaurant below and enjoyed a meal on the deck overlooking the raging river below. We also took the time to look over another project we had done eight years ago to honor the two hundredth anniversary of Simon Fraser going through the canyon. Jenessa posed like a tourist in front of the rock’s other side. In her safety gear she looked ready to scale the rock.